Aaron, 33, suffered from edentulism in his top jaw since the age of 17. In this video he talks about his life prior to the All-on-4® Treatment Concept and how he felt when he realised there was a solution. Can the All-on-4® Treatment Concept change your life? 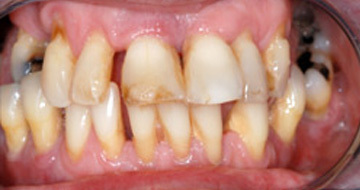 Nick endured dentures for two or three years, and before that, missing teeth. He suffered from poor speech because of his missing teeth. He opted for the All-on-4® Treatment Concept and hasn't looked back. Carole had suffered from receding gums and gum disease for several years and as a result bone loss in her jaw was moving her teeth and causing gaps. Carole said “I was very self-conscious about my teeth and I thought that there was no solution to my problem as the bone loss meant I wasn’t a suitable patient for dental implants. Then I read an article in the press about a new procedure called ‘All-on-4® Treatment Concept’ and I thought that could work for me. All-on-4® treatment concept is the name of an effective and efficient technique normally using 4 dental implants in the upper or lower jaw to secure a permanent set of natural looking, replacement teeth. 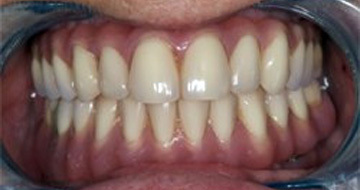 This allows for a long term, permanent solution encouraging strong, sturdy support and a more natural smile.